Could This Gaffney Nightclub Shooting Have Been Prevented? 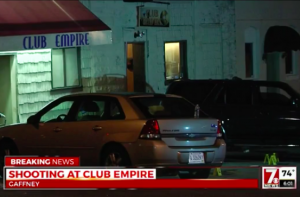 Three people were reportedly shot and injured when gunfire broke out at Club Empire nightclub in Gaffney Saturday morning, July 8, 2017. According to the Gaffney Ledger, “an altercation started just inside of the club where several shots were fired.” The violent dispute apparently “then moved outside the club and continued up Wall Street…where more shots were exchanged.” 7 News reports, “three people were shot” during the hail of gunfire. Their identities and current conditions have not been released. Did negligent security contribute to this unconscionable nightclub shooting? We represent individuals and families who have suffered a tragic loss or injury as a consequence of negligent property security. 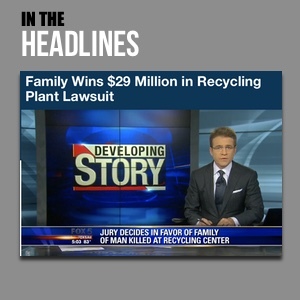 Read Our Legal Take to find out if the victims may have a legal avenue for justice and claims for substantial compensation in South Carolina, or call now for a free consultation with our legal team: 888.842.1616.